I first heard of the Camino de Santiago (translated into the Way of St. James) when I lived in Germany from 2000 to 2003. It was not “a thing” for Americans, but all of Europe had been familiar with it, well, really for the last millennium. It was like a great restaurant that only locals frequent and tourists never really hear much about. If you’re tired of the usual dog-and-pony tourist shows, the Camino is a world away. And unlike those usual treks, the Camino is surprisingly affordable. 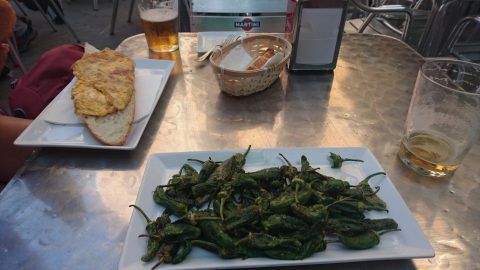 Get a cheap flight to Spain, and you could easily spend less than $50 a day once you’re on the ground. 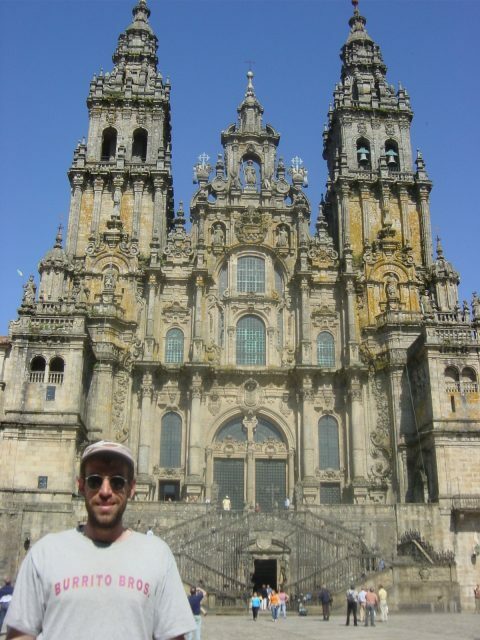 Jim Royal in front of the Cathedral of Santiago de Compostela. The Camino consists of several ancient pilgrimage routes that come together at the tomb of St. James in Santiago de Compostela, which is in northwest Spain. Historically, Santiago was one of the three holy cities of Christianity, along with Rome and Jerusalem. If you couldn’t make it to those latter cities, you could go to Santiago and receive absolution. Sometimes criminals were sentenced to walk to Santiago and deal with the highwaymen along the route, in lieu of a punishment at home. That sounds promising as a vacation, right? These days the Camino is a much different experience, however. While many people do still walk the route for religious reasons, many others do it because it’s a fun adventure to trek across Spain, sometimes hundreds of miles over a period of weeks. 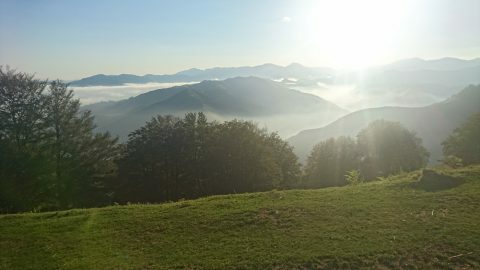 The view crossing the Pyrenees early in the morning. 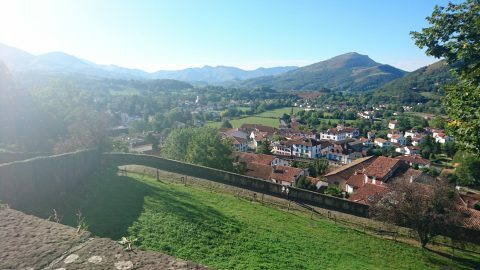 The Camino has many routes, but the most famous is called the Camino Frances, which starts in France, as its name suggests. 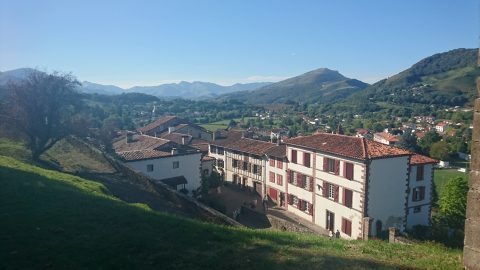 Both photos: St Jean Pied de Port, France — the start of the Camino Frances into Spain. It’s close to 500 miles long and it passes over the Pyrenees and down to Pamplona, across the plains and then up into the hills of northwest Spain. 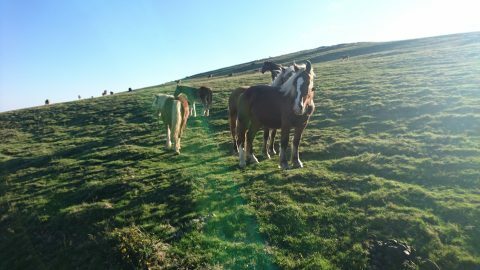 Horses need to cross the Pyrenees, too. But there are many other routes, including the Via de la Plata from Seville in the South and the Camino del Norte, which runs right along Spain’s northern coast and over to Santiago. 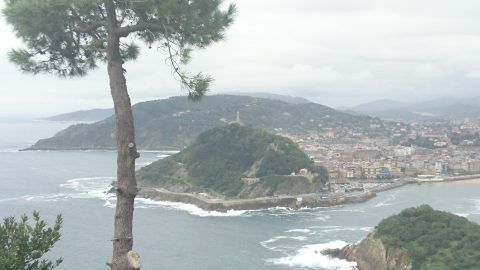 A shot of San Sebastian, along the Camino del Norte. But the Camino is really a European heritage site, not just Spanish, and routes can be traced throughout most of Europe. Some walkers spend years completing the Camino, hiking a few weeks each year, starting in Berlin perhaps, to get to Santiago. The following year they just pick up where they left off. To walk the route and to stay in certain hostels, you’ll need a pilgrimage credential. It’s like a walker’s passport with room for special stamps that you collect along the way from hostels, churches and town halls. Sometimes even Spanish citizens have their own stamps and will mark your credential to verify that you’ve walked the route. When you arrive in Santiago, you submit your credential to the Camino “authorities” and if you’ve walked at least the last 62 miles or cycled at least the last 124 miles then you’ll receive the compostela, an official document saying that you’ve completed the trek. The Camino is an amazing experience, and many walkers come back from the experience with a different perspective on life. Out in rural Spain you’ll meet some great people and settle into the daily rhythm of walking. You enjoy meeting people from all over the world. Truly from all over the world. I met people from five different countries on the first day of my walk. That number only grew from there. You want an “authentic” experience. The Camino is the only place you can experience the Camino. There’s no place like it. You enjoy a fun adventure walking through beautiful country. Spain is amazingly beautiful, and you’ll spend a lot of time out exploring it. Also nice is that you’re never too far away from a village or city, so you don’t have to carry a lot of food or supplies, as you would on other long-distance treks. Walkers are a helpful bunch, too. You want a healthy vacation. You’ll be doing a lot of walking and climbing out there, and breathing in the fresh air while you’re at it. You’ll burn calories quickly. It’s cheap (for a vacation). Sure, vacation is never exactly cheaper than staying at home, but this is one of the cheapest options around. Accommodation in walker’s hostels is usually less than $10 per night, and many cafes and restaurants along the way have multi-course meal specials for walkers, for $10-$12. Bocadillos and blistered poblano peppers after a hard day’s walk. The Camino is unforgettable. You’ll always remember your experience — the food, the people, the challenge. And you’ll want to go back. Really. 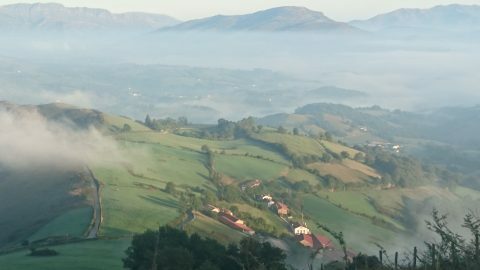 So if you’re looking for something off the usual tourist beat, check out the Camino de Santiago. Another shot taken while crossing the Pyrenees. The views expressed here are solely those of the author and do not necessarily reflect those of NerdWallet or its partners.